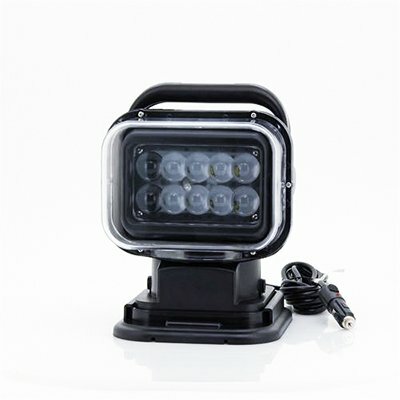 Successfully Added Car LED Search Light - 7 Inch, 50W, 3200 Lumens, 10x 5W Cree XTE LEDs, IP65 Splash Proof, 360 Degree Rotation to your Shopping Cart. 3200 Lumens, 7 inch, Cree LED Search Light with 360 degree control at the touch of a button for all your outdoor and camping needs. This powerful 3200 Lumens light is powered by ten 5Watt Cree LEDs and is a wonderful addition to your car and camping kit. 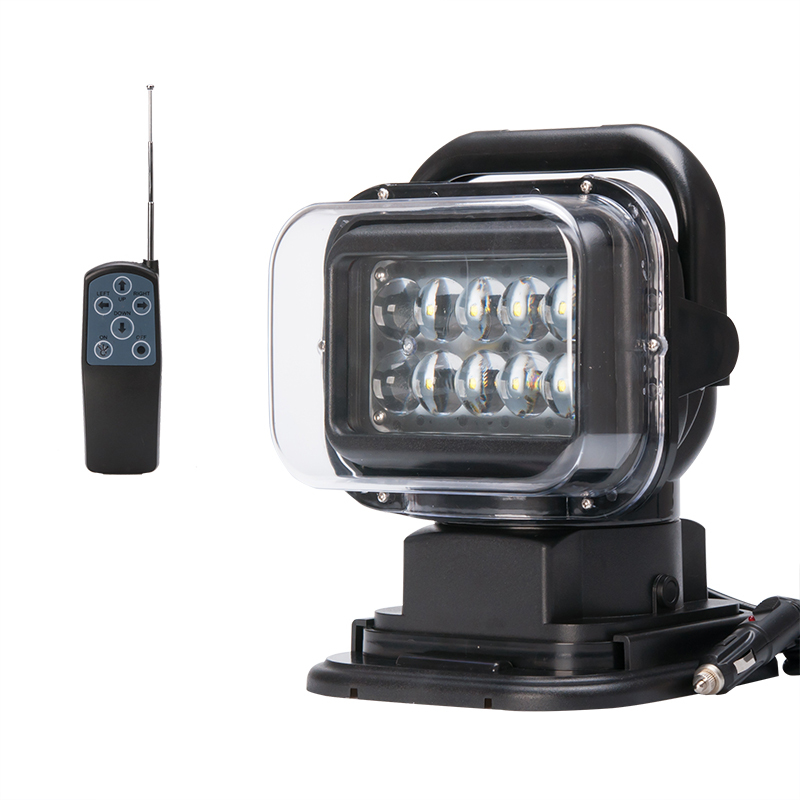 When it’s dark outside you can light your way with this powerful lighting solution making it perfect for those late arrivals at the campground in which you would otherwise struggle to pitch camp in the dark. It can also be used on any other vehicles with a standard 12 or 24 volt cigarette lighter socket meaning its suitable for fishing boats, RVs and agricultural vehicles so can make a useful search light or working light when you get caught out in the dark. It comes with a wireless remote control so you can turn the light on and off as well as rotate it up to 360 degrees at the touch of a button. Its IP65 rating means it splash proof so and its rugged exterior will ensure it lasts and it has a magnetic base and fixing bracket allowing you to mount it on vehicles.